Get to know the Grand Massif with others who ski at your level. Join a ZigZag ski guide in a group of 6-12pers for a comprehensive half-day tour of the Grand Massif. Under the guidance of a qualified ski professional you’ll be shown your way around the pistes of Samoëns, Morillon, Les Carroz and Flaine. As well as learning where to find the pistes you’ll enjoy, your ZigZag guide can point out recommended restaurants and secret spots you might never find on your own! Your ZigZag guide is a fully insured professional snowsports instructor, so you can be assured you’re in expert hands throughout your outing. A minimum Silver level of ski or snowboard ability is required to participate (please refer to our level descriptions here). 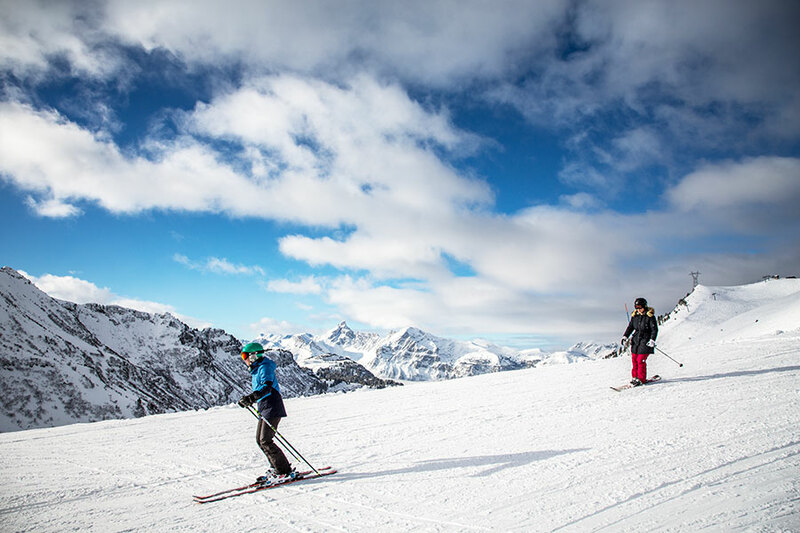 Children over 6 years of age are welcome on skis so long as they have a solid Silver level of ability (able to ski confidently parallel on all blue pistes). *NB this group will run only if there is enough interest, otherwise both levels will be combined into the Blue tour. Participants will meet at our standard meeting point at Samoëns 1600m. A coffee stop may be included if all participants agree.